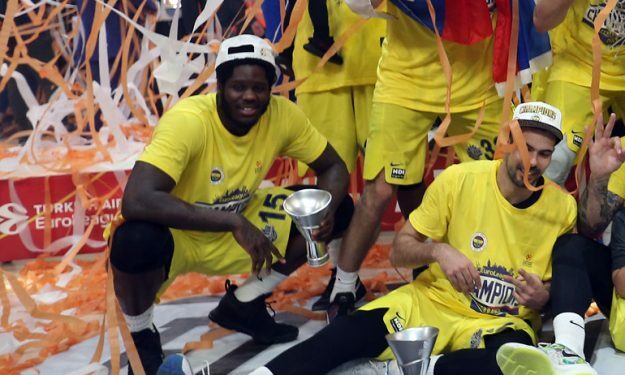 After winning his first major championship title, Anthony Bennett is released from Fenerbahce, he will return to the States and he awaits the next step of his career. Fenerbahce announced that the player is released, a decision which was taken earlier in the season. Bennett was part of the EuroLeague roster of the team, because there was no limitation on the roster spots according to players’ nationalities. However, in the Turkish BSL every team can have up to eight non Turkish players and activate six of them in every game. Bennett was the odd man out, as Pero Antic got the last open non Turkish spot in the BSL roster of Fenerbahce. Still, Bennett was part of the EuroLeague winning team, he is expected to play also for the Canadian national team and he did average 9 ppg and 6.4 rpg, playing 23 minutes per game in seven BSL contests.